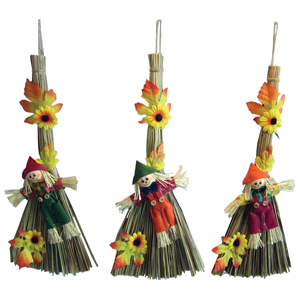 • Scarecrow on a straw broom with Fall leaves. • Measures 16 inches overall with hanger at the top. • Packed 24 per case, $1.10 each.